The first disaster was the Battle of Hastings. 1066 is not just a date. The French Norman aristocracy replaced the Anglo-Saxon English-speaking aristocracy and the English language became a lower class language spoken by lower class people. When England was invaded and colonized by the French Normans in 1066, it experienced a cultural and linguistic disaster. The English-speaking aristocracy was replaced by a French-speaking Norman aristocracy and English speakers became lower class citizens; very often, they were little more than slaves. French was the language of power and status. Another disaster helps English to reemerge as an important, fashionable language. 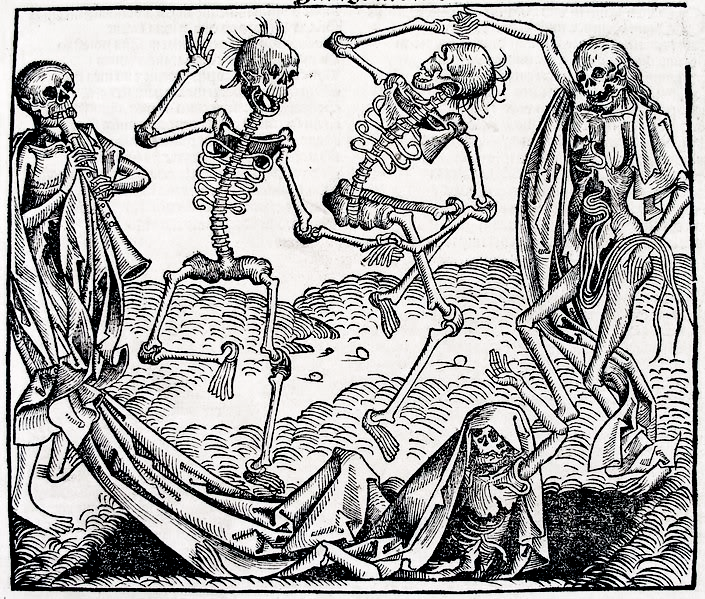 The Black Death was a horrifying pandemic in which as much as half of the population of England was wiped out. The resulting labor shortage helped working class English people to get better pay and higher status. This situation continued for a long time; it was not until the middle of the fourteenth century that the English language began to become fashionable among upper class people. The reemergence of the English language itself depended on another disaster. As much as half of the population of England died in the Black Death, a deadly pandemic which reached the country in 1348. Most people were afraid that the world was really ending. When the Black Death finally died down in 1349, lower class English speakers found they could make more money and get higher status because workers were in short supply. This was especially true for working people who lived in (or moved to) the south of England where the job opportunities were best. The Peasants’ Revolt. English workers wanted higher status and more rights. They went on the rampage across England and shocked the rulers. Although the revolt eventually failed, people now realized that the English language had to be taken seriously. English was becoming fashionable. English-speaking working people were now pushing hard for better rights and higher status. They were particularly unhappy about having very limited rights in spite of having to pay high taxes. In 1381, there was a huge rebellion by English-speaking working people across the whole of England, centered around London and other parts of the south. This was the Peasants’ Revolt. Lower class English speakers showed they could use English as a tool to organize themselves and present their ideas for change. The English language was back and was becoming fashionable among the nobility; Chaucer’s “Canterbury Tales” is symbolic of the emergence of the English language as a language of poetry and power. Strange changes: The Great Vowel Shift. As upper class people move from speaking French and Latin to speaking English, they import different pronunciations. These changes spread quickly and become a standard for the educated population. This period was the start of the Great Vowel Shift, the transition from Middle English to Early Modern English. Pronunciation of vowels underwent huge changes. Upper class people started communicating in the newly fashionable English language instead of French or Latin. However, they imported pronunciations from these languages into English and over the next three hundred years the pronunciation of English vowels changed massively; eventually, a new standard English pronunciation was established among a socially mobile and vibrant English-speaking population. 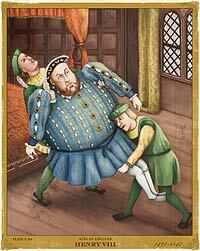 Henry VIII died fat and desperately ill. However, he introduced England to the Protestant Reformation that was to have a huge influence on the spread of English language and culture in the world. The start of the Early Modern English period coincides with the reign of King Henry VIII. Henry broke with the Roman Catholic Church in order to obtain a divorce from his Spanish wife, Catherine of Aragon. He married a new wife, Anne Boleyn, in 1533 and started the English Reformation. England eventually became a strongly Protestant country that was very open to economic opportunities. This helped England to replace Catholic Spain as the superpower. Henry and Anne’s daughter, Queen Elizabeth I, was keen to establish new colonies in the New World (America) and challenge the power of Catholic Spain while strengthening Protestantism in England. England was the country in the best position to take advantage of new technologies, develop colonies, and make enormous amounts of money. England was to become the superpower, and the English language was to become the tool of global communication. 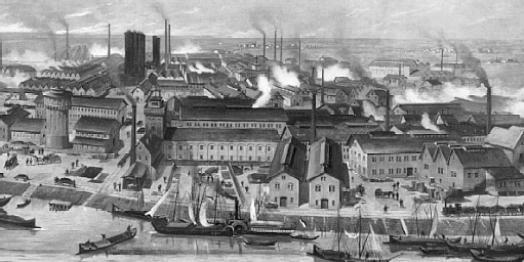 The economic opportunities for England improved as new technologies were introduced in the second half of the eighteenth century. The Industrial Revolution was led by England for three main reasons, three strokes of enormous luck. First, the Protestant religion encouraged people to trade and get rich, far more so than the Catholic faith. 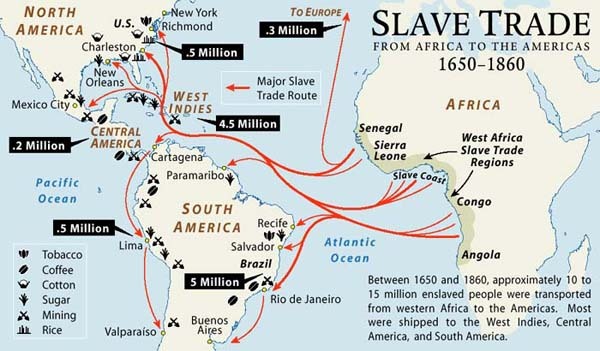 Second, opportunities for trade and the development of the English colonies (particularly in the New World) exploded with the development of new technologies such as the steam engine. Third, England was able to take fullest advantage of the new technology because it was the only developed country to have massive reserves of easily accessible coal. The reign of Queen Victoria (1819-1901) was to see the British Empire develop as the unchallenged superpower in the world. This set the stage for the development of English as the global tool for communication. The power and riches of the British Empire and the spread of English as the global language was built on the power of coal. Britain just happened to have the best and most accessible coal fields — just a bit of luck. 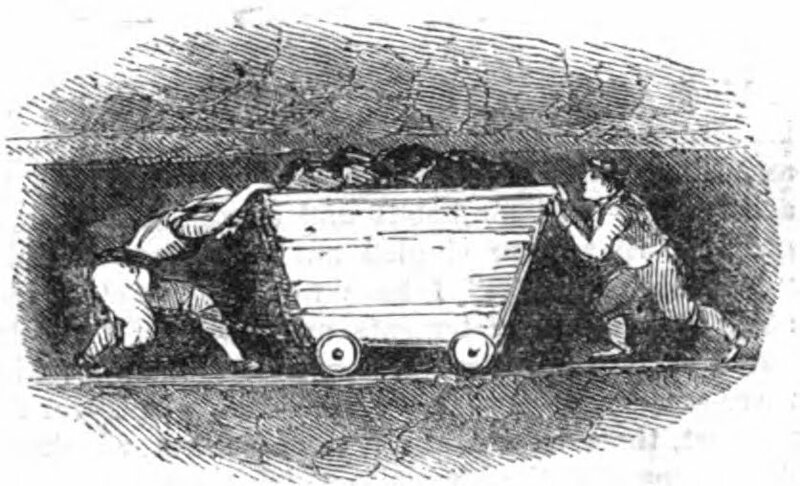 This coal, however, was extracted under often incredibly dangerous conditions by very unlucky workers, particularly children who were the only ones small enough to work in the mines! We are going to take a look at this story of a language that conquers the world. It is not always a nice story; much of it is based in cruelty and hypocrisy, prejudice and greed. Even so, it is a fascinating story and you should understand it. The story of English is not always nice. But it is usually interesting.